President Trump consulted Donald F. McGahn II, the White House counsel, on the F.B.I. investigation into sexual assault allegations against Judge Brett M. Kavanaugh. 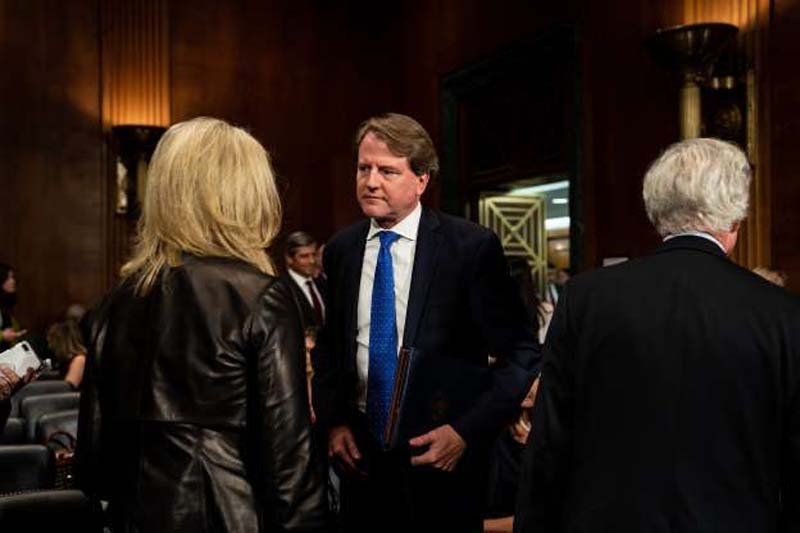 An exasperated President Trump picked up the phone to call the White House counsel, Donald F. McGahn II, last Sunday. Tell the F.B.I. they can investigate anything, he told Mr. McGahn, because we need the critics to stop. In talking with Republican senators, White House officials said, it became clear to Mr. McGahn four people whom senators wanted to be interviewed: Deborah Ramirez, who alleged that Judge Kavanaugh exposed himself to her during a college party; Mark Judge, a high school friend who was said to have witnessed an assault by Judge Kavanaugh on Christine Blasey Ford at a high school party; and two other friends who Dr. Blasey said were at that party, P.J. Smyth and Leland Keyser.